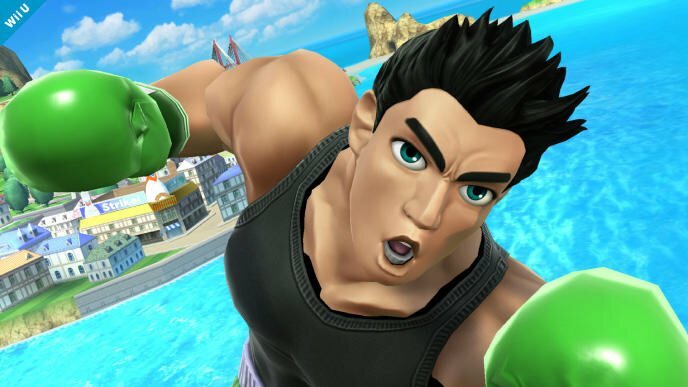 Super Smash Bros. is out in the wild, and there is a clear people's champion among the new combatants: the speedy boxer Little Mac. As far as tiers go, he is already among the more powerful of the characters. He is incredibly fast and can pull powerful punches with very little effort on the players' part. He lacks projectiles of any sort, but guess what. He doesn't need them! His over+b attack allows him an immediate dodge followed by a destructive rocket punch. His counter does massive damage, and his uppercut is nearly unbeatable with his speed and ability to launch rivals upwards. Players have complained that the "For Glory" mode is too overly populated by the character because he is an easy way for new folks to boost their victory percentage. Numerous FAQs have also been dedicated as to how to beat the character. As far as popularity goes, the character has become something of a meme. Kotaku has collected a wide assortment of screenshots, Vines, Twitters, and YouTube videos detailing just how crazy popular Little Mac had become. I don't want to pile on the hate either, because he's my new favorite character as well! I never play "For Glory" because I don't play video games for glory, but my friends know when to look out because when I choose Little Mac, I don't lose. Do you think all of this discussion on the cheapness of Little Mac will force Nintendo to nerf his damage output? I hope not, because he is just so much fun to use, but it's probably not that good of an image for the competitive scene.